It’s been long established that “Content Rules” the online marketing world. The proof lies in social media managers trying to create content that goes viral. Everybody wants content that is appealing and evokes action such as related to casual visitors turning into customers. What do you think, where does this process starts? Creating Viral content is not a child’s play, it entails planning and deep understanding of the volatile markets of today. In this article, we would look into this process’ first step which is so basic yet the most critical. Imagine you have great content but how do people know that the content is great. For this, that first ‘click’ comes from a great and attractive headline one that people just can’t resist clicking on. With the headlines being the first to come in the attention of readers and potential visitors, the scenario has become very competitive. Marketers and content writers are working hard and sometimes, unethically to create titles which are fake or misleading, or just attention-seeking while the content itself doesn’t have that much value to the reader. Fake Sense of Urgency: Often content clicks nurture on the fake sense of urgency. The headlines are written in such a way that it evokes a rush in the reader’s mind to go through the content, hoping all along that they would get something useful to implement in their actions. Many a times, this is just fake rush and leaves the reader disappointed, and in turn, builds a negative image for the content’s company. Keyword Stuffing: Do not overdose the headlines with keywords. SEO is important but simply stuffing the headlines with more keywords will just make it illogical. False Promises: One of the simplest way to get readers to your content is a promise! Indicate a promise, an obtainable future/current value in the headline and you can be rest assured that your content will get at least, a read. Easy enough, but is this the goal? If readership is the target, it works! But what if you want to take your visitors to the narrowest level of the marketing funnel, converting them to your clients. Yes, exactly then a content piece with a false promise will take you nowhere. If money and business is the ultimate goal, refrain from promising what can not be given, and say only what can be given. Remember the trust building exercises starts with a honest headline. Promise to Teach: Readers normally would want to read articles/content pieces that make them learn something that can be implemented. A good headline is one that indicates this promise and also supports content which can be made actual use of. Avenue to Experiment: Curiosity is the mother of invention. A lot of readers would like to try something radical, innovative and creative to change the status quo in their business/work/profile. A headline that summarizes it’s content’s usefulness in providing avenues for experiments, is definitely a yes. But it is very necessary that the content is honest to the headline. Preciseness: Headline writing is an art. It’s an art which challenges your capability to summarize. It’s all about how not to lose essence of the content/information by divulging all that it contains or by keeping the important elements discrete. Neither, the explicit disclosure or the act of being discrete helps in a good headline formation. Honesty with preciseness, the one which retains the gist yet births excitement and curiosity is an headline which definitely garners a click. Remember, the length of the headline matters as well as the preciseness. Creative: In the competitive world of today, where social networks bombard our minds as well as profile pages with information overload, creativity is one of our saviours. There are sales people trying to sell every product in the dictionary, every company/product is in a stampede to gain attention and acceptance, in such an environment traditional headlines should be replaced with creative ones. How about simply stating the fact “How to become King of Content Marketing World’ be replaced by ‘Critical Steps to Avoid to Become King of Content Marketing World’? Imagine, the impact the later headline is supposed to bring. Go for creative ways, but remember the content has to be in accordance with the words in the headline. 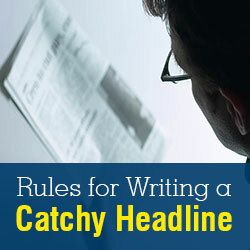 The creation of honest and engaging content titles/headlines is a process in itself. Such headlines play an important role in building credibility and bringing regular readership/followers and customers. Pay attention not to just the creation of the content, but start with the perfect headline that’s real, appealing and definitely brings a reader in making. Shaifali Gupta is the founder of Media Meridian, a Social Media & Content Marketing firm. Starting with an MBA & MS from Europe, she is now living her dream of writing. As a professional content writer, she writes about Technology/E-commerce/Social Media/Software Engineering. She has worked with various nonprofits & mid-size for-profit organizations in Silicon Valley & India, and understands their technology and communication media needs.